On the heels of the release of Enchantress and Nocturnals: Legend, a Kickstarter campaign to fund the next hard-boiled tale from Dan Brereton’s Nocturnals rocketed past the initial funding goal in less than 72 hours. The Sinister Path will be the first original story centered around Brereton’s band of Halloween-inspired pulp/horror characters since 2008. 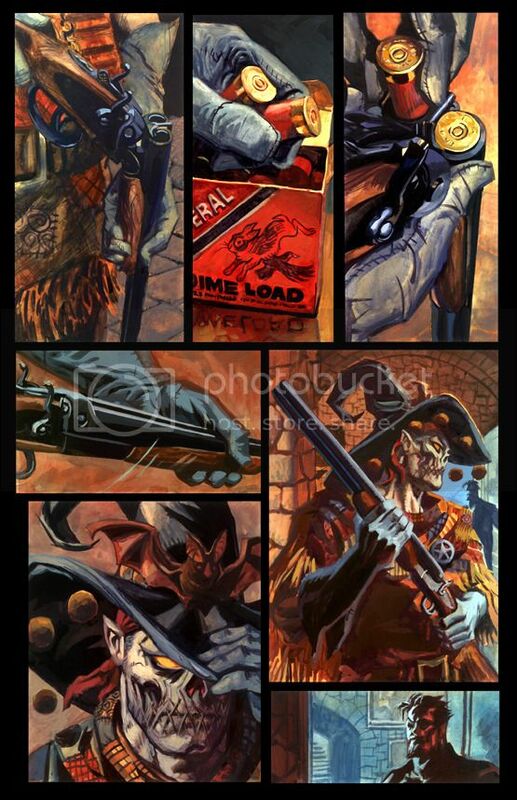 First published in 1994, the Nocturnals have become the greatest single work produced yet by painter and writer Dan Brereton, also known for his work on Batman: Thrillkiller, Superman and Batman: Legends of the World’s Finest, and JLA: Seven Caskets. The Nocturnals tells the story of occult adventurer Doc Horror, his clairvoyant daughter Eve (aka Halloween Girl), her silent guardian Gunwitch, and their band of monstrous allies as they deal with aliens, mobsters, and, of course, creatures of the night. Sinister Path will see the return of fan-favorites like Polychrome, Starfish, Firelion, and the Raccoon as well as the addition of Jammybottoms, another doll in Eve’s menagerie of possessed poppets linked to the phantasms that now stalk her. A new band of elder Nocturnals will also emerge as the Children of the Judge, a malevolent mirror version of Horror’s group. 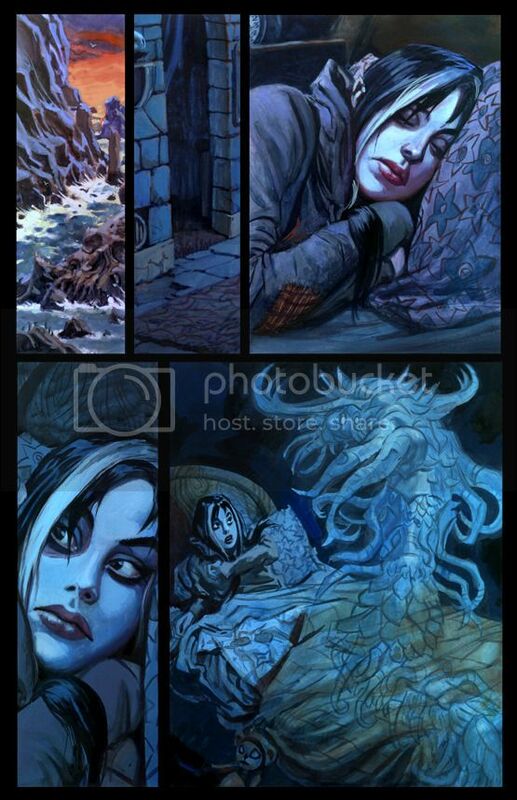 Pledge levels range from a $5 PDF copy up to $7,000 that includes the painted original art used for the book’s wraparound cover. Other pledge levels included sketched versions, blank covers for future art acquisition, and original art. 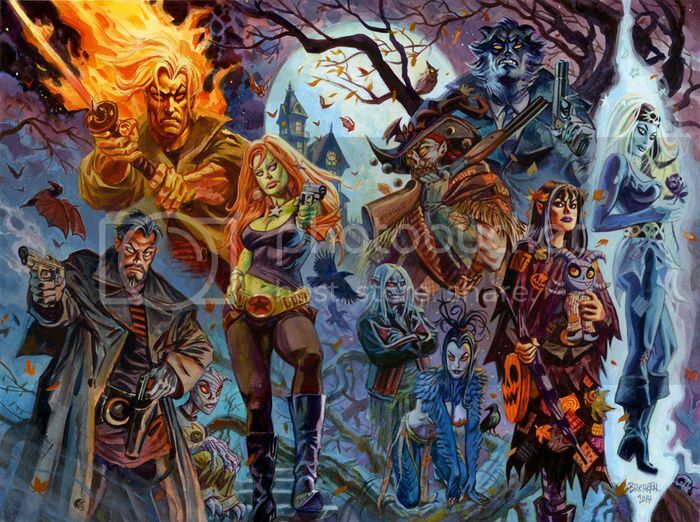 If you’re a fan of Dan Brereton’s famous painterly style and/or the Nocturnals this project promises to be a welcome to your collection. To learn more about the Nocturnals, visit their website at Nocturnals.com.